For a good championship, you need some help from nature and fortunately, the weather was fair on the river Medway over the weekend of the 8-9th September for the Wayfarer Southern Area Championships hosted by the Medway Yacht Club and forming part of the Craftinsure National Circuit and Travellers Series. 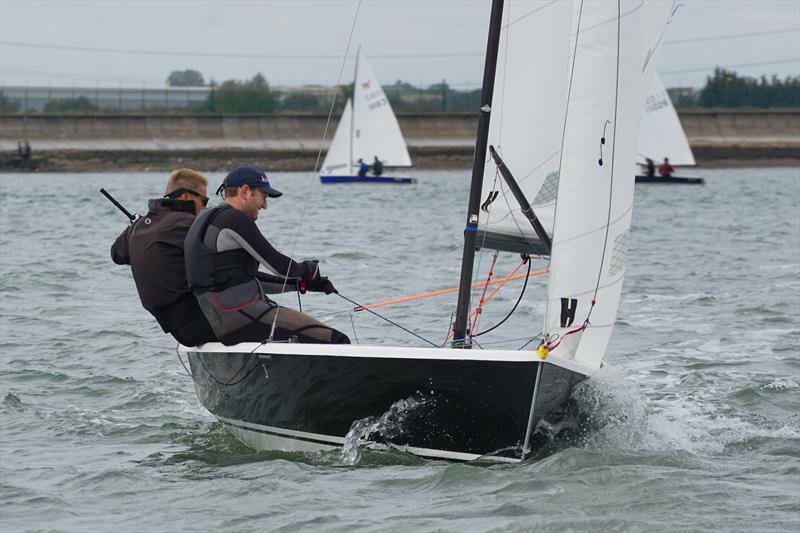 Few boats had registered by the preceding week but by the Saturday morning, 22 had entered the event with a strong competitive fleet with missing only the current European and National Champion, Michael McNamara who was already committed to a local Wayfarer Rally in Norfolk. The first start had to be stopped at 4 minutes as the wind flicked left giving excessive port bias to the line, but at the second attempt the fleet got under way in good order with the race being won by Andrew and Tom Wilson (Datchet), with Bill Whitney and John Shelton (Shoreham) and John Clementson and Paul Grace (Chipstead) second and third respectively. 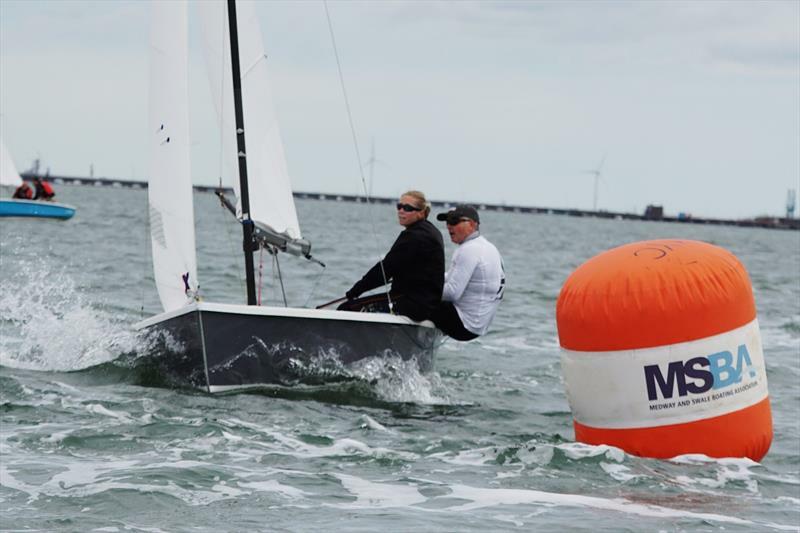 This race showed the eventual outcome of the championships as these three competitors had a most consistent set of results over the six race series to their credit. Simon Winn, by far the most senior racer in the fleet was going well despite the brisk conditions but capsized and with increasing winds, wisely did not compete further. All credit to him for entering the regatta in such windy conditions. Race 2 got off to a clean start with Tim and Jacqueline Townsend (MYC) leading the way for most of the race but they were just unable to hold onto the lead at the end being overhauled by the Wilsons and Bill Whitney to finish a fine third. The windward marks were laid close to the Kingsnorth Jetty and it proved difficult to decide whether to go left into the strongly ebbing tide and get a clear wind or right and face disturbed wind from the obstruction of the jetty. As usual, the top boats made the correct calls. For race 3, the Race Officer set a triangle/sausage course with Bill Whitney getting a win. John Goudie (Wilsonians) had an excellent race battling for line honours until the final mark, when he tripped over. Despite this setback, he and his crew showed that it is possible to right a Mark 4 Wayfarer in double quick time as they still managed to finish 14th. The beat home after racing was long against a strong ebbing tide and we were all glad to return to the MYC for free beer sponsored by Shepherd Neame followed by a champagne reception hosted by Len Jones, unable to race following a hip operation the week before. The MYC gave an excellent dinner in the evening with a quiz compèred by the MYC Commodore, Mark Penny, where the wide ranging set of questions particularly on Kent topics proved a bit challenging for some of the visitors. For Sunday, the wind was fresher, averaging 15-20mph. The RO set the course in Pinup Reach again giving good windward/leeward courses with no particular bias to the windward leg; reading wind shifts was important as ever. 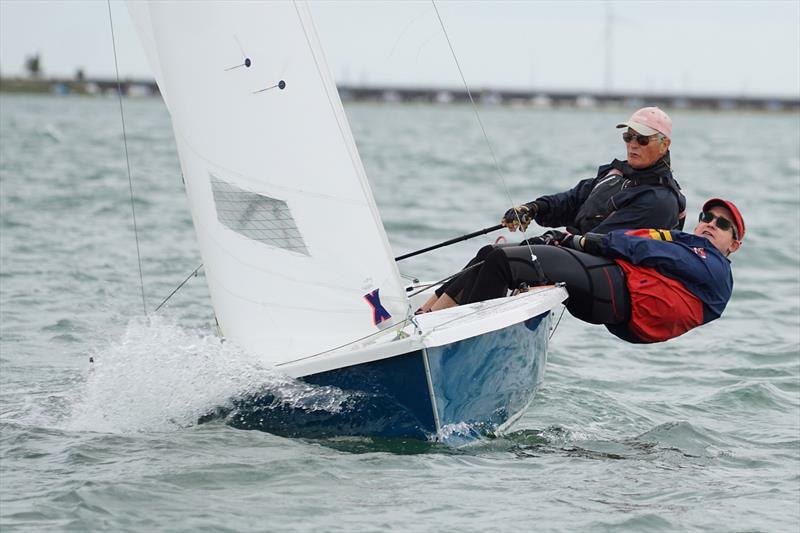 For race 4, there was a strong flood tide running and unsurprisingly, half the fleet were over the line and there was a general recall. With the U flag displayed, the fleet were more disciplined and got away cleanly at the second attempt. The Wilsons won the race but the run proved to be important as going straight up the course led to big gains and inverted the race positions for many of the competitors. Race 5 was again won by the Wilsons showing great consistency with John Clementson a fine second. 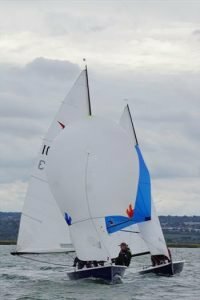 The requirement to sail through the line on each lap caught out a number of competitors over the weekend including this author to his annoyance. Thanks were expressed by the competitors for the excellent Race Management team headed by Jamie Blair before the drive home to rest weary limbs and backs. Thanks to all the travellers and local boats for participating in an excellent weekend of sailing. 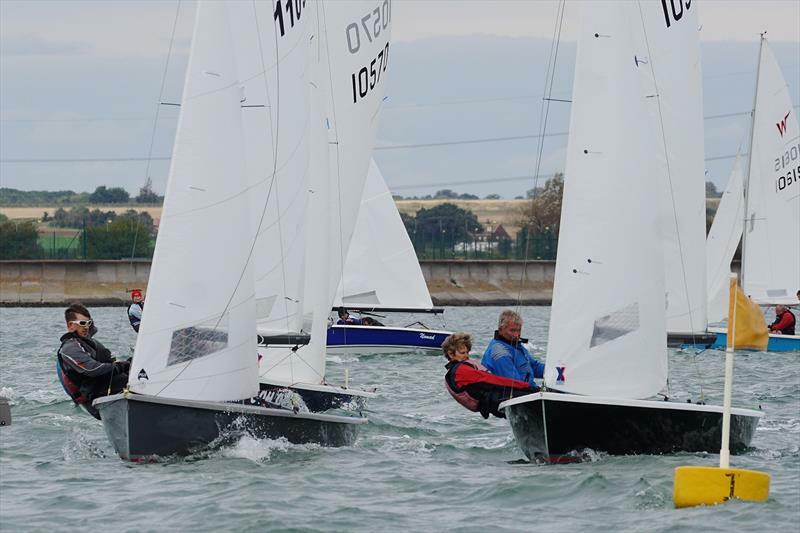 This area championship at Medway Yacht Club was the sixth in the eight boat Craftinsure Wayfarer National Circuit and Travellers Series. Leaders at this stage are the Wilsons with Whitney/Shelton in second place and Marks/Titmuss in third. With two events left the Wilsons will be difficult to overhaul but lurking outside the top ten at this stage is one team which could come into the reckoning if the stars are aligned. 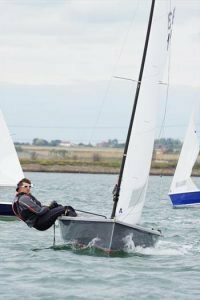 The next event in the National Circuit Series will be the open meeting at Swarkestone Sailing Club, Derby (a new venue for the Wayfarers) on 6-7 October 2018.